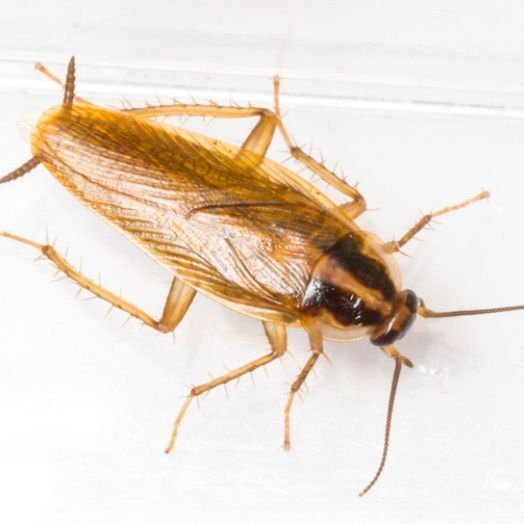 In this part of Ontario the most typically found cockroach is the German Cockroach. They are just under 2cm long, a light brown colour, with two parallel streaks running from the head to the base of the wings. Even though they have wings, they naturally can not fly. It doesn’t take long for roaches to reach maturity. The life cycle from egg to adult is only about a month. So if the population of cockroaches isn’t kept under control it can quickly become huge. The German Cockroach loves to live in restaurants, food processing facilities, hotel rooms and nursing home. Anywhere it can find food. This includes your house. An experienced exterminator is effective in identifying and can permanently take control of any roach pest problem you are experiencing.